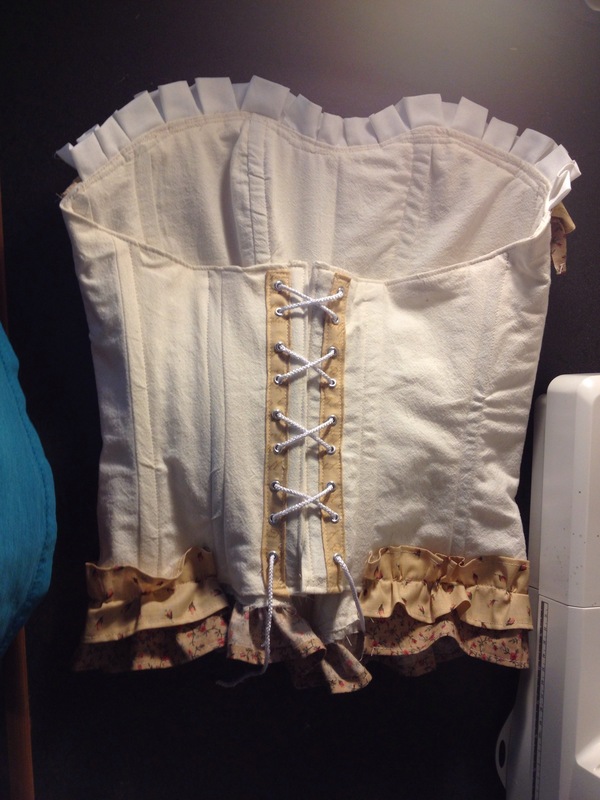 I love making my costumes each Halloween! I have been making them since 2009. I’ve been a pink and blue mad hatter, an army girl, an elf, circus ring master, Harley Quinn, and now a mad hatter… again. Check out my Facebook page to see my pictures! 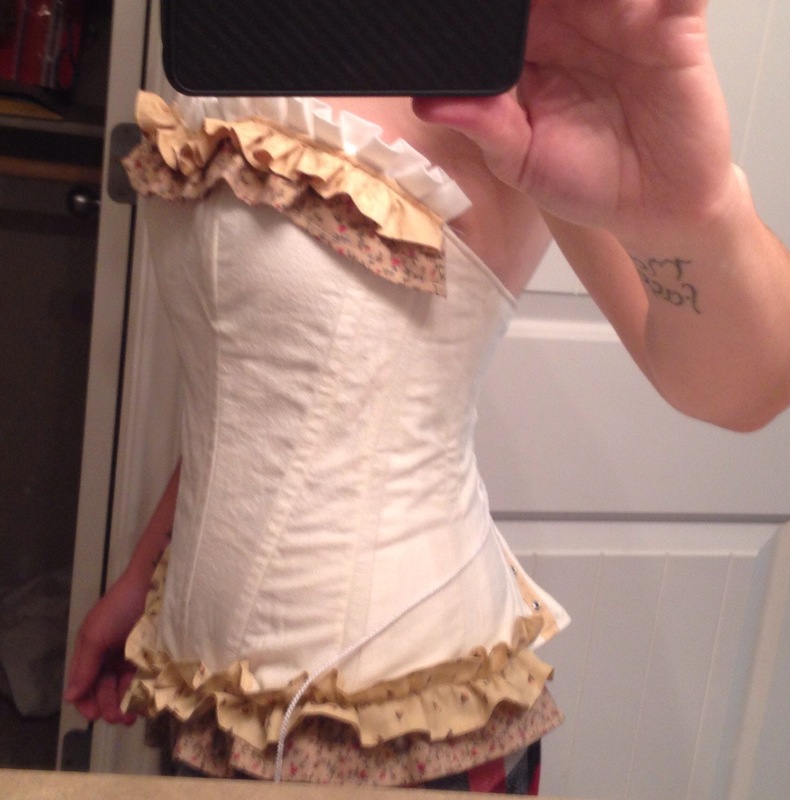 In my previous post I showed my corset in process. 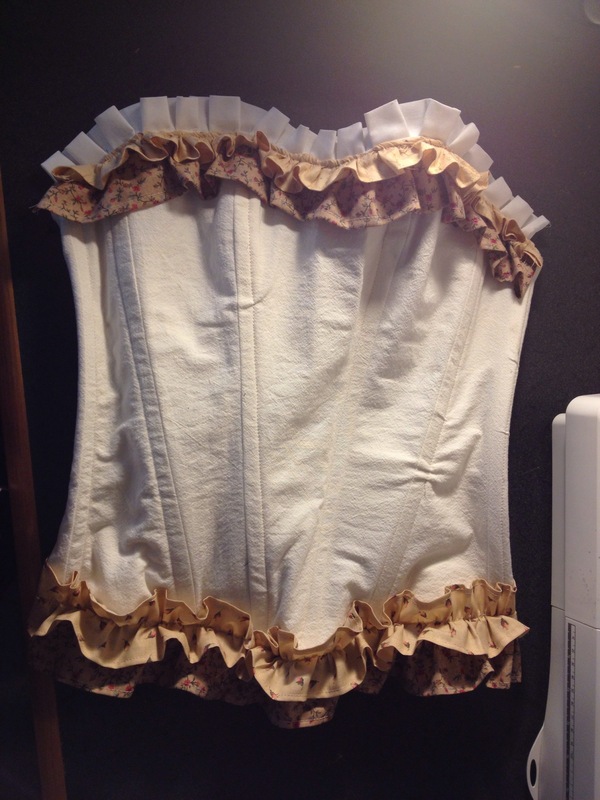 I decided to add ruffles instead of bias tape. 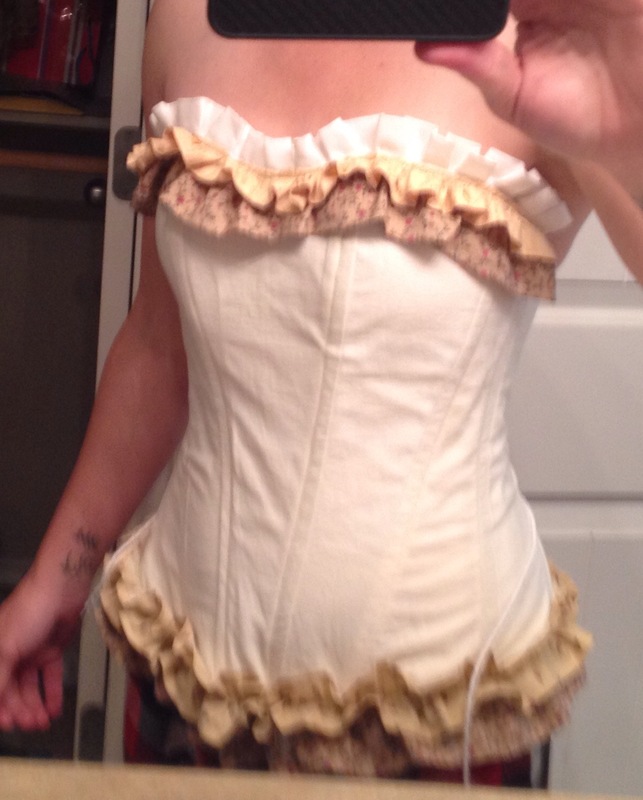 The corset turned out pretty good and versatile. 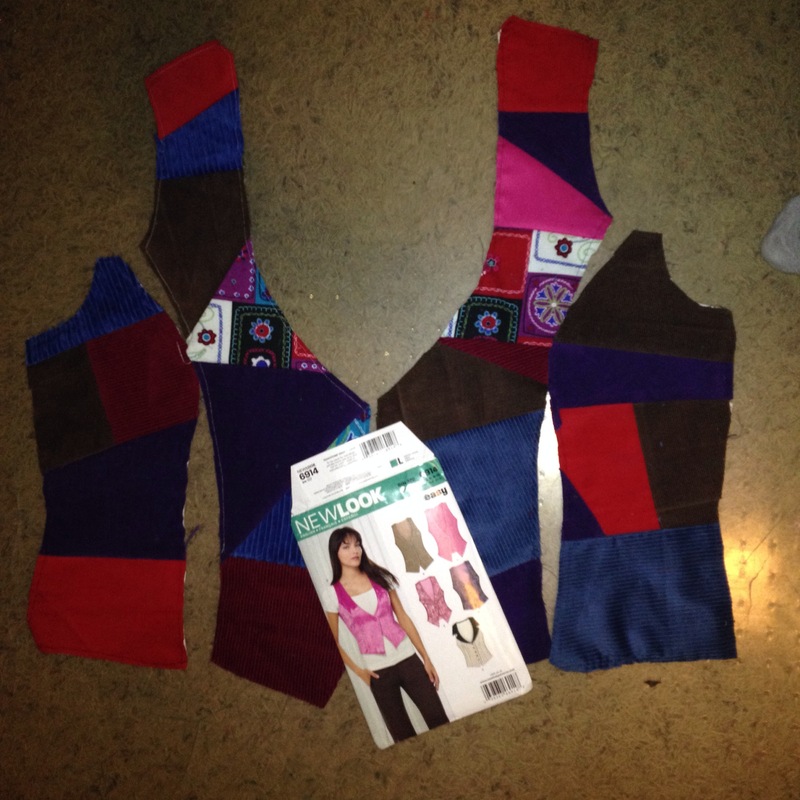 The Mad Hatter vest is made with New Look pattern #6914. 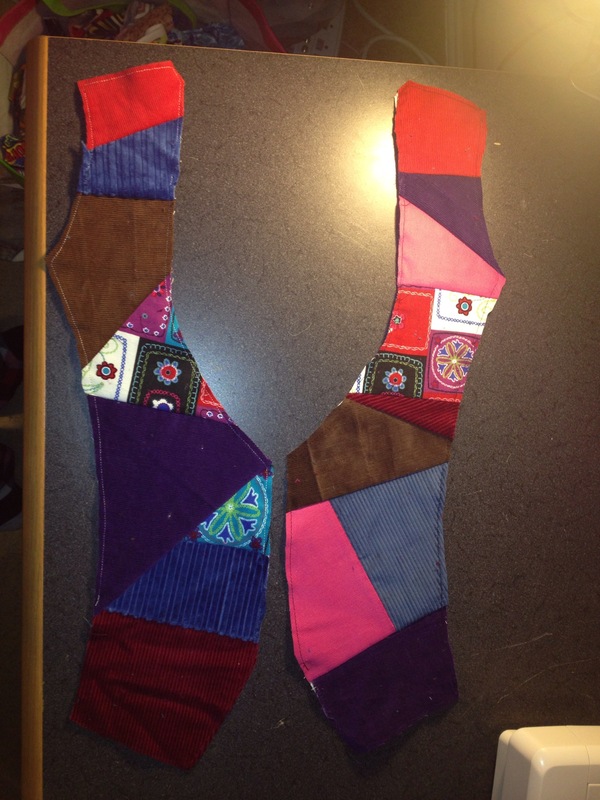 I cut a foundation fabric piece for the front pieces and sewed scrap corduroy fabric to the front. Can’t wait to finish it!! !